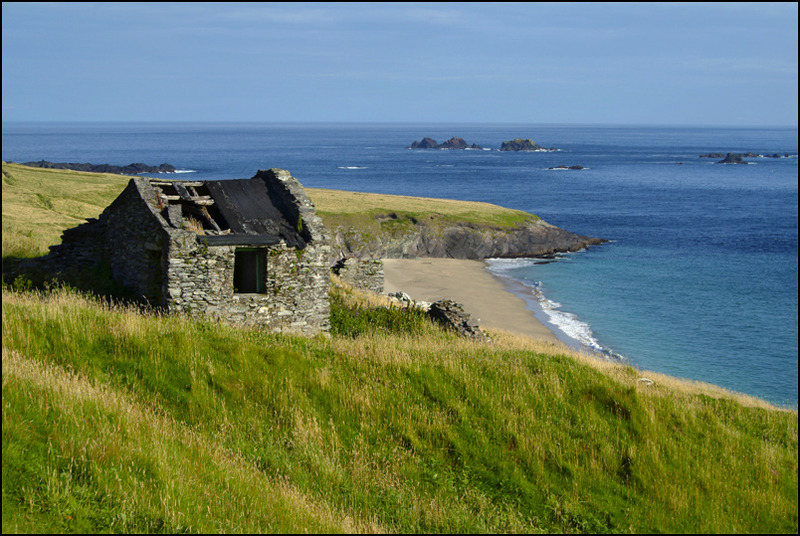 Ruins of a Blasket home with the beach An Trá Bán, Beiginis Island. Different sizes available. Please enquire. Unframed. No mount. Smaller sizes (12 x 8, and 18 x 12) available. Framing available if collected from Helene. Please enquire.